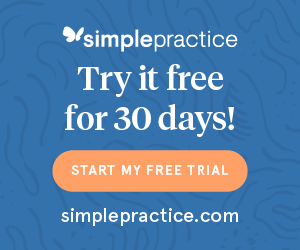 The speed at which your private practice website loads is one of the many factors Google looks at when recommending your website. One thing that may slow your website down is the images that appear on it. There are two things that are going to make your images slow to load on your website. Number one is the physical size of the image. The size of images on computers is measured in pixels. You’ve got a width and a height for each image. When I see a website that loads slowly, the first thing I’ll do is take a look at the images. Many times there will be images that appear small to the user – let’s say they are only 300 pixels wide on the screen – but if you right-click on the image and open it in a new tab, the image is actually 4000 pixels wide. This means that the HTML code is still loading a 4k pixel wide (BIG!) image and then styling it as 300 pixels wide. The website STILL needs to load that large image. So think about how you’ll use your images on your website. If it will appear in a small space, use a tool to resize those images before you load them onto your website. The other aspect of your images that can slow things down is the size of the image file. This is the space it takes up on your computer. If you start with the width and height of your images, resizing them to make them smaller, this will cut down on your images file sizes. To edit the size of your images (width and height) before uploading to your private practice website, you can use a photo editor. There are free tools out there you can use such as Canva’s Photo Editor. You can upload your photo, resize it or crop it, then download the file. For optimizing the file size of your images, you can use an image compression tool. This helps cut down on the file size while keeping a decent quality of the photo. If you want your website to compete with the competition in Google, page speed is one thing you want to make sure you’re doing right. 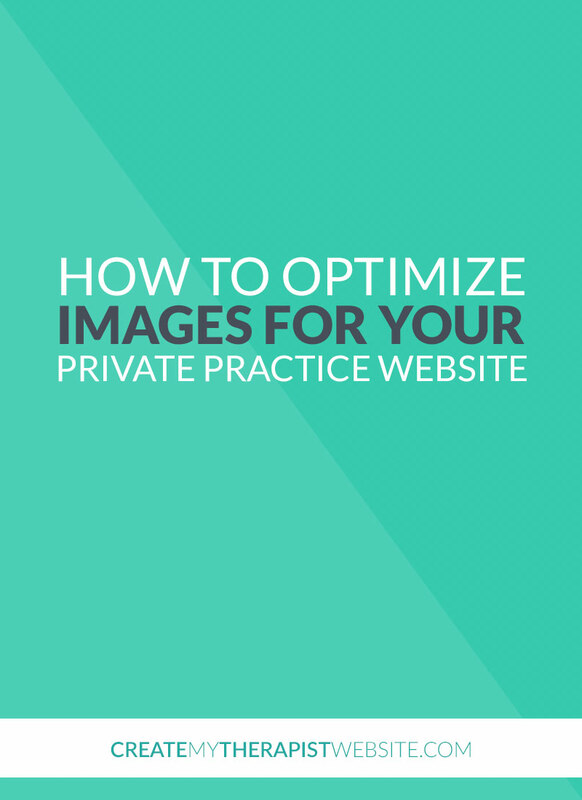 Making sure you use properly optimized images is one way you can cut down on a lot of extra load time. 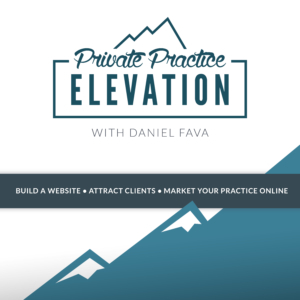 You can use the tips above to give your private practice website visitors a better experience and help your website rank better in Google. Not sure if your website is loading slow or fast or whether your images are slowing things down? Check out this free speed test from Pingdom to get started.